 MacBeans is a privately owned limited company, solely based at 2 Little Belmont Street, Aberdeen. We have been roasting coffee in the basement of our shop since 1994. (We originally opened in 1989 across the road at 3 Little Belmont Street). Throughout this period the company has been owned and run by founding director Ian Cukrowski. Our traditionally styled shop has been a haven for tea & coffee lovers from not only Aberdeen, but thanks to our large postal service, throughout the UK. During the past 27 years we have roasted coffee from possibly every coffee producing origin you can think of.Speciality coffee is now big business throughout the UK and we like to think of ourselves as pioneers of this ‘new wave’ of small artisan coffee roasters. Thanks to trips to producing countries including Kenya, Guatemala, Costa Rica, Brasil (twice), Colombia & Sumatra - Not to mention a visit to the Swiss Water Decaffeination plant in Vancouver - Ian has not only got to know a wide network of growers and shippers, but has gained a wealth of knowledge around the various production methods used by the farmers. Along the way educating his palate by tasting some of the best coffee the world has to offer. Loose tea is a major part of our business and we stock one of the widest selections of orthodox produced teas in the country. However, with over 3,000 different teas produced from the tea plant CAMELLIA SINENSIS we apologise that we can’t stock them all! In addition to this, we offer a wide range of tea and coffee making items from the ubiquitous cafetiere through to the currently in vogue Aeropress and Chemex filter method. We also supply numerous coffee shops, restaurants, hotels, guesthouses, and offices with our freshly roasted coffee and offer a short list at very competitive trade prices for orders of 5kg or more of a single coffee. We have a thriving mail order system for those who cannot get to the shop, and although our website doesn’t offer all our teas & coffee to buy online with a click of the button (well at the this time anyway) our featured ‘Coffee Of The Moment’ changes every month and has become a firm favourite. Increasingly, so has our ‘6 Month Coffee Subscription’. However, we love the personal touch of speaking to customers and we are happy to post out any item from our range... all you have to do is call us on 01224 624757 and we will be glad to help!